An ongoing collaboration between the USDA Forest Service (USFS), UMBC’s Department of Media & Communication Studies and New Media Studio is giving students an opportunity to explore and document the wide range of research activities and community-based programs conducted by USFS Northern Research Station. 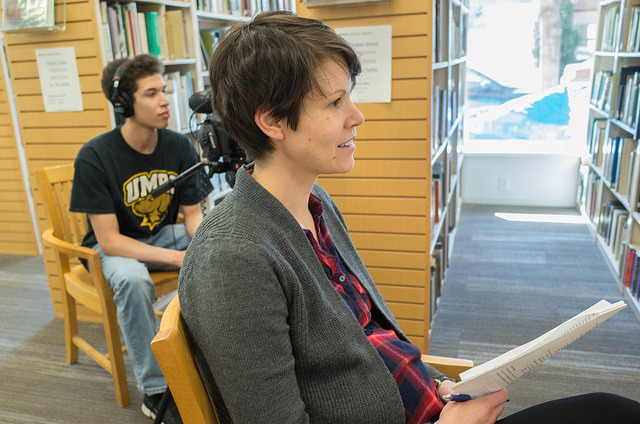 The joint venture agreement funds two years of production activities by UMBC, including documentaries, short features and podcasts. The project is coordinated by Bill Shewbridge, Professor of the Practice in MCS and Sarah Hines, Science Delivery Specialist with the Northern Research Station. The first production, completed last year, tells the story of the “Baltimore Wood Project.” The Baltimore Wood program, a partnership between the USFS and Humanim that results in the salvage and re-use of urban wood from deconstructed row homes in Baltimore, focusing on the ways that this project/partnership diverts waste, creates jobs and economic value, and improves lives. This is set into the larger context of how the USFS works in urban areas to improve lives. 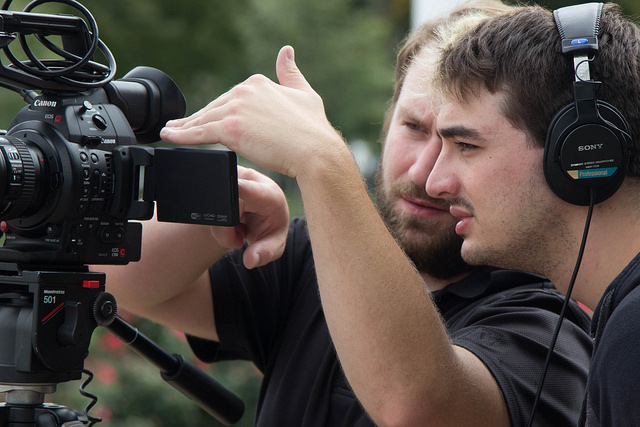 MCS students working with the New Media Studio shot the documentary at locations around Baltimore City. USFS Chief Thomas Tidwell is featured in the documentary. The video was premiered at the GreenLab@LightCity conference on April 4 in Baltimore. The Forest Service used the video to entice national furniture maker Room & Board to source wood from Baltimore. Room & Board has developed and is now featuring a line of “Urban Wood Project: Baltimore” furniture pieces. Revenue, jobs, and proceeds are returning to Baltimore to support continued greening efforts. The Forest Service vision is that urban wood economies can enable land reclamation and ecosystem restoration, promote economic development, and improve lives in urban areas across the United States and the world. Sarah Hines of the USDA Forest Service credits the partnership with the MCS and the resulting video as a key component of success in their national-level partnership with Room & Board. Production is currently underway by students in the MCS Production Fellows class on additional USFS programs, extending the project to include activities at the USFS Philadelphia and New York Research Stations. Future production will highlight USFS work in New York and Chicago. 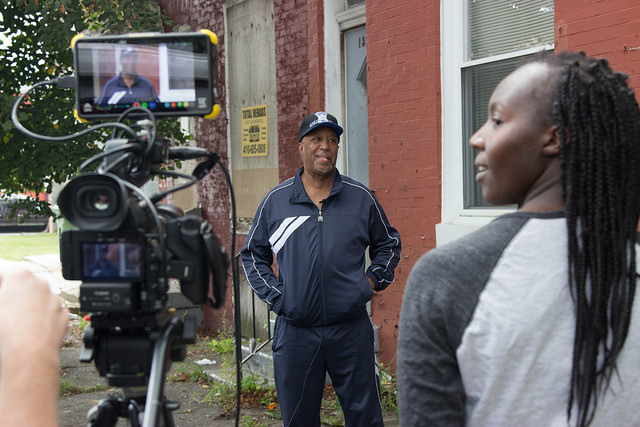 MCS major Danae Bell interviews Dr. Marvin Cheatham in Baltimore’s Easterwood neighborhood. MCS major Kevin Harris with Sarah Hines, USFS on location at the Philadelphia Horticultural Society. This story was updated on February 23, 2018.